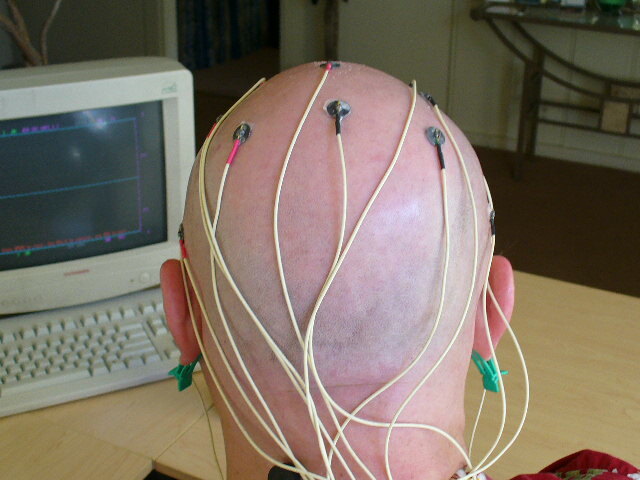 Brain Mapping is a process where E-E-G sensors are pasted at various points on the top, sides and back of the scalp (see picture below) enabling the E-E-G measurement hardware and software to measure the BETA and THETA brain waves for ratio analysis. 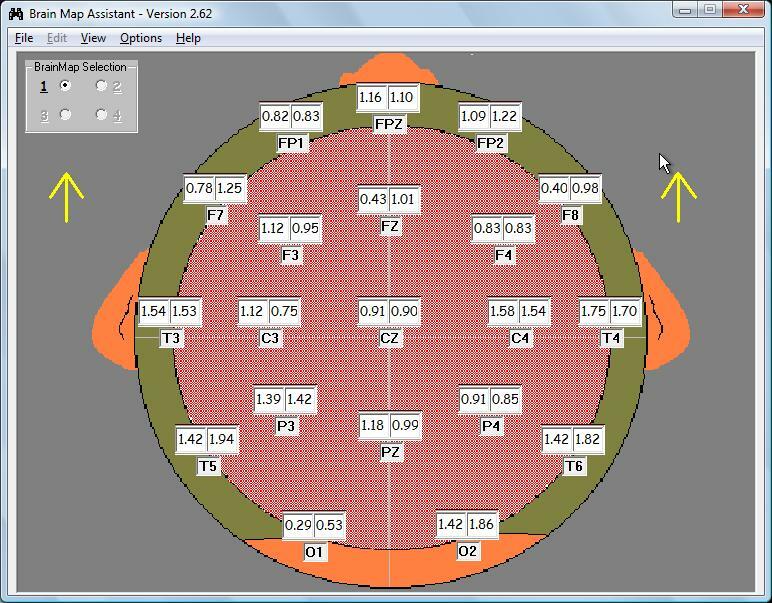 As you can see from the above diagram we take a set of two measurements at each area on the head; the first being a passive baseline measurement and the second a measurement taken when the individual engages that area of their brain in some prescribed way. Therefore, increasing the Beta or decreasing the Theta results in a larger Ratio. In general, as the bloodflow to a given area of the brain increases, the Beta/Theta ratio ALSO increases. With NeuroFeedback, bloodflow to individual areas of the brain can be enhanced. In so doing, that area of the brain becomes more alive and able to function "normally". You can read one individual's description of his own Brain Map at the MING TV Website.